The success of BlueBRIDGE is linked to the adoption of its services and products which target a specific niche of stakeholders in different domains. In order to promote adoption, stakeholders need to understand what are the benefits in using them. AquaBioTech Group, an international research and development, engineering, technology provider and consulting company located in Malta. The AquaBioTech Group undertakes a variety of aquaculture, fisheries, marine surveying, aquarium and aquatic environmental projects through its regional offices and partners throughout the world. The vast majority of the company’s work is related to the marine or aquatic environment, encompassing aquaculture developments, market research / intelligence, through to project feasibility assessments, finance acquisition, project management, technology sourcing and technical support and training. With the data and the models made available by BlueBRIDGE, AquaBioTech wants to study the nutrition dispersion and retention in the environment surrounding a local fish farm. The results of the collaboration with BlueBRIDGE will be also analysed in the context of the TAPAS - Tools for Assessment and Planning of Aquaculture Sustainability - H2020 project, in which the SME is involved, to widening the scope of the collaboration. Flyby, an independent Italian company, specialized in the development of Decision Support Systems exploiting edge technologies in the field of Remote Sensing, Signal Processing and Big Data Analytics. The company has been founded in 2001 with the aim to develop innovative solutions exploiting data analytics. Flyby operates in five different business sectors (Defence, Space, Health, Maritime & Fishing, Energy). Currently, Flyby is developing a new commercial solution to monitor and provide advice on the sustainability of fish resources: the work going on in BlueBRIDGE related to fisheries stock assessment could enhance the solution under development. Kamahu, a French start-up created at the beginning of 2017 in order to conceive and market farm control SAAS solutions for the aquaculture industry wanting to offer benchmarking services to its clients. Sinay, a French Environmental Consulting company specialised in underwater acoustics, maritime surveillance and fishery science. Founded in 2008, the company provides a wide range of services such as environmental impact and risk studies related to human activities in the oceans, marine wildlife population surveys and fish stock assessments. Sinay aims to exploit the BlueBRIDGE resources to study the impact of man-made underwater noise on different key marine species in the Mediterranean area. Sinay is already working on these kind of assessments, therefore BlueBRIDGE will be useful to compare the results of the different models used and to assess an alternative solution to explore eventual cost-efficiency benefits. StatnMap, a French micro-enterprise providing tutorials and expertise in statistics, modelling, spatial data analyses and mapping for beginners or advanced users from universities, research laboratories and companies. The main field of expertise is marine and aquatic ecology. By exploiting the data, the models and the computational resources made available by BlueBRIDGE, StatnMap aims to build species distribution models in a more efficient way and enhance its offering. The SMEs are currently exploiting the BlueBRIDGE resources. The second engagement method that BlueBRIDGE adopted was the organisation of webinars: one hour live presentation/demo delivered online via the BlueBRIDGE website. Overall the project organised 7 webinars attracting around 300 relevant stakeholders stakeholders. The webinars allowed to save costs to the project but also to the participants and to outreach a very wide geographical distribution of participants. In the BlueBRIDGE case, as the project is dealing with very different topics and stakeholders, the webinars were a perfect mean to attract potential users. Many of the webinars attendees registered to the VREs right after the webinar and becoming users of the BlueBRIDGE infrastructure. The results in terms of attendance and participation both to the call 4 SMEs and the webinar validated the approach. Both the approaches went a bit beyond the traditional instruments of engagement, especially the call for SMEs that was able to attract actors form the private sector without providing any financial contribution to them. Fundamental for the success of such approaches is an effective communication and promotion. This user engagement practices are replicable in all the domains that aim to engage diverse and multiple stakeholders. 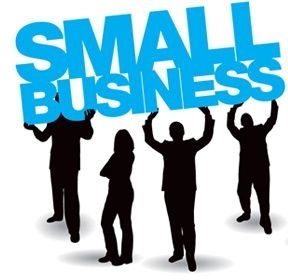 The call for SMEs required a huge dissemination and management (after the selection of the SMEs) effort. In the future it would be good to include such process as a part of the workplan and allocate some financial resources to the winning SMEs. This will facilitate their participation as one of the main barrier emerged during the numerous phone calls that the consortium had with candidate SMEs during the call promotion period was that SMEs do not have resources to allocate to run these pilots. A financial support might help. The call needs also to be planned from a consortium perspective as in many cases SMEs are not familiar with e-infrastructures and considerable time has been spent by the consortium in understanding the requirements of the companies and in explaining how to address them with the e-infrastructure resources. In many cases ad hoc implementations have been requested. For what concerns webinars they work really well in BlueBRIDGE because they allowed the consortium with a minimum effort to engage different stakeholders.